The Finance Committee plays a leading role in the financial sector of SRCIC and actively studies China and international financial policies to provide all-round financial service to SRCIC members. The Committee focuses on discussing financial policies, preventing financial risks, studying the difference in financial services across the countries and guiding SRCIC members to participate in major financial activities so as to promote pragmatic cooperation in financial projects among SRCIC members. Mr. Kiang Tien Sik David is the Chief Executive of Da Tang Xi Shi International Group Limited. He had years of management experience in Citibank and Standard Chartered and was President of Ping An Bank. 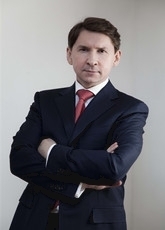 Mr. Petr Panov is an expert in the area of investment management, M&A and crisis management with 20 years’ working experience in the Russian and international companies, including the largest Russian bank - Sberbank Group of Companies, TNK-British Petroleum, and The Boston Consulting Group. Mr. Petr Panov serves as Chairman of "Centre for investment, technology and trade" (CITT), Chamber of Commerce and Industry of the Russian Federation Since 2012. Mr. Petr Panov implemented large-scale projects for Audit Chamber of the Russian Federation, TNK-BP, Gazprom, Federal Grid Company of Unified Energy System, the Fund for the development of the far East and Baikal region, the National welfare fund Samruk-Kazyna (Kazakhstan). Mr. Petr Panov graduated from Moscow Engineering and Physics Institute and Moscow Automobile and Motorway Institute with Engineering and Economics degrees and with MBA in Finance and Strategic Management from Wharton School of Business.